Mrs. S. Marie Gary, 94, formerly of Canton, died peacefully on Tuesday, February 19, 2019 at the St. Regis Nursing Home in Massena, where she was surrounded by her family. Marie was born on February 5, 1925 in Clare, the daughter of the late Floyd and Stella (Rider) Dana. She attended Knox-Memorial Central School and finished high school in Canton, graduating in 1943. A marriage to John Basford ended in divorce. She later married Edson Gary, whom predeceased her in 2003. Marie raised her own family and dedicated her working years to caring for many foster children, retiring in 1985. 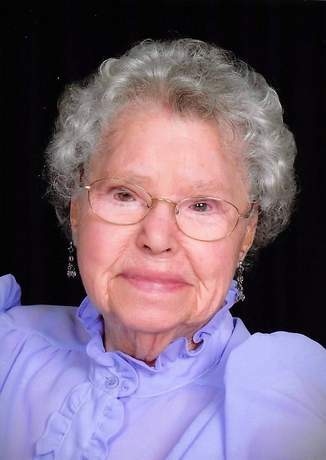 Marie was a member of the Canton Senior Citizen’s group, a part of the St. Lawrence County Foster Care Organization, she enjoyed gardening and knitting and contributed many hours to volunteer work at the Canton United Methodist Church. Marie is survived by her two children, Steven (Kim) Basford of Canton and Tami (Doug) Baker of Pittsford, VT; four grandchildren and six great-grandchildren. A brother, Raymond Dana and a sister, Marion Lozo predecease her. A memorial service will be held on Saturday, February 23, 2019 at 11:00 am at the Canton United Methodist Church, Court St.; with Pastor Michael Terrell, officiating. Contributions in her memory may be made to a child advocacy group or a charity of one’s choice. Memories and condolences may be shared online at www.olearyfuneralservice.com. Arrangements for Mrs. Sybil Marie Gary are under the care of the O’Leary Funeral Service of Canton. 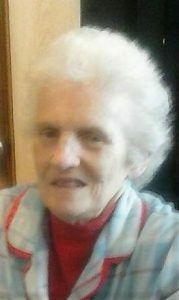 Princeton – Belva Joan Matthews, 79, passed away at Heartland Health Care Center, Henry, IL on Thursday, March 14, 2019. Belva was born on May 27, 1939 to the late Basil and Elsie (Curtis) Fountain in Canton, NY. She was a graduate of Knox Memorial High School in Russell, NY Cass of 1956. She married the late Howard C. Matthews on August 27, 1964 at the Methodist Church in Herman, NY. 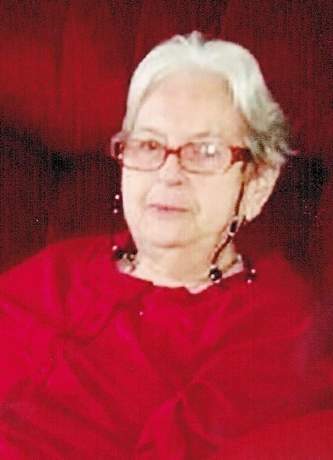 She was a supervisor at the St. Lawrence County Meals on Wheels. Belva also worked at the Princeton Mushroom Factory in the Café as well as managing several restaurants for the owner of the café. She worked at the Care Inn Nursing Home, where she became a certified dietitian. She also worked at Perry Memorial Hospital and ran the kitchen as the dietitian before retiring. She spent her retirement as a Gold Coat at Perry Memorial and volunteered at the Clark House assisting in the kitchen. The family will receive friends from 1:00 p.m. to 2:00 p.m. on Sunday, March 24, 2019 at Norberg Memorial Home, Princeton, IL. Services will be held at Norberg Memorial Home, Princeton, IL on Sunday, March 24, 2019 at 2:00 p.m. officiated by Pastor Frendell Reyes. A graveside service will be held in New York at a later date and time. Online condolences may be left at www.norbergfh.com Arrangements by Norberg Memorial Home, Inc. Princeton, IL. 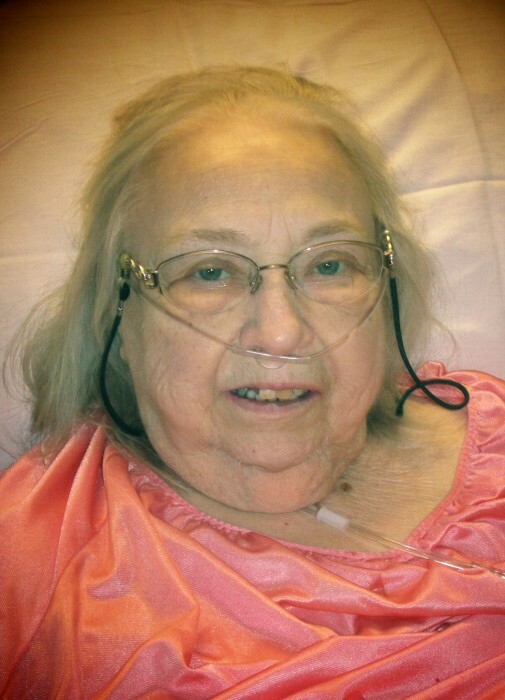 Mrs. Frances E. Grant, 99, of North Russell, passed away on Tuesday, March 6, 2019 at the United Helpers Riverledge Nursing Home, Ogdensburg. Frances was born on January 21, 1920 in Russell to the late Alfred and Cora (Miller) Viancour. She attended high schools in Russell and Pyrites. On March 1, 1938, Frances married Norman Grant. He predeceased her November 1, 1982. She and Norman owned and operated a farm on the Cassidy Road for over 50 years. Frances is survived by two sons, George Grant of Oneida, NY and Steven (Irma) Grant of Ogdensburg, as well as several, grand, great-grand and great-great grandchildren, nieces and nephews. Sister, Doris Dominie and Mabel Woodside predeceased her. In accordance with her wishes, there will be no calling hours, a graveside service will be held in the spring at Fairview Cemetery, Canton. Memories and condolences may be shared online at www.olearyfuneralservice.com. Arrangements for Frances E. Grant are under the care of the O’Leary Funeral Service of Canton. Born Feb. 25, 1940, in Gouveneur, N.Y., passed away Sept. 26, 2018 in Lancaster, Calif.
Roger grew up in Russell, NY, and attended Knox High School. Roger served in the United States Air Force for 24 and half years as a Reconnaissance Photographer. He served 3 tours of duty in Vietnam. He received numerous distinguished medals during his years of service. Roger worked at Edwards Air Force Base for 22 years as photographer and multi-media manager. He enjoyed photography, bowling, golfing, and viewing many other sports. Roger leaves his wife, Luisa Hatch of 52 years of marriage, two daughters Paula Hadfield (Jim) and Rhonda Hatch-Rivera (John), and 3 grandchildren: Chandler, Kendall and Elyse. Funeral services will be held at Central Christian Church on Thurs., Oct. 4, 2018 at 10:00 am. Following services, Military Honors will be at Bakersfield National Cemetery at 1:15 pm. 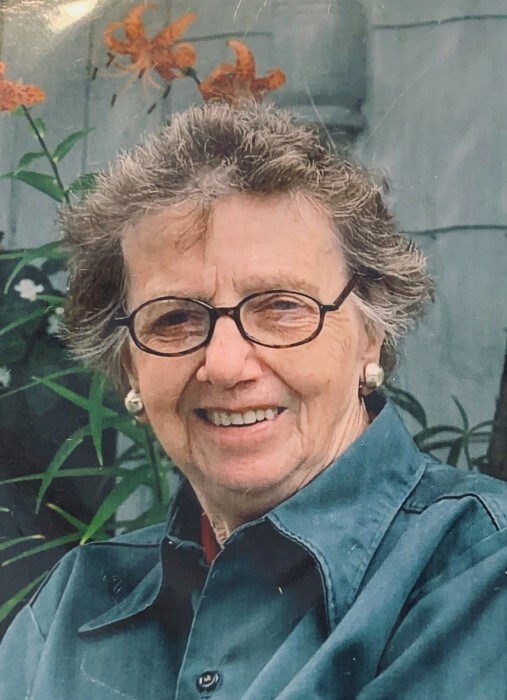 Ms. Beverly B. Bullis, 77, of Canton passed away peacefully on Tuesday, May 22, 2018 at the Gouverneur Hospital where she was in the company of her daughter, Peggy and her sister, Shirley. Beverly was born March 14, 1941 in Russell, the daughter of the late Howard A. and Mabel A. (Blackmer) Fifield. She attended Russell Schools. On June 27, 1959 she was married to Ira “Pete” Bullis at the First Presbyterian Church of Canton. The marriage ended in divorce. Beverly is a lifelong resident of the Canton area. She worked in several homes, cleaning for local families and later became a nurse’s aide at the Canton Hospital. She was also a member of the Brick Chapel Ladies Aid Society. Beverly is survived by a daughter, Peggy (Ricky) Shea of South Colton; a brother, Jay (Kathy Whiteford) Fifield of Canton; a sister, Shirley (Ike Guyette) Briggs of Canton; a brother-in-law, Cecil (Nancy Butler) Wells of Heuvelton; and her little sweetheart, Shayden Sloan. She is predeceased by a daughter, Darlene; a son, Alan; sisters, Jean Wells and infant Betty Jean; brothers, Howard Jr., Lloyd and Brayton Fifield and by a granddaughter, Heather. In lieu of flowers, contributions in her memory may be made to the Canton Rescue Squad; 77 Riverside Drive; Canton, New York 13617. A graveside service will be held on Friday, May 25, 2018 at 2:00 pm at the Brick Chapel Cemetery; Canton. There will be no calling hours. Memories and condolences may be shared online at www.olearyfuneralservice.com. Arrangements for Ms. Beverly B. Bullis are under the care of the O’Leary Funeral Service of Canton. Mrs. Joan B. Clarke, 81, of Russell passed away peacefully on Wednesday, March 7, 2018 while under the care of Hospice and Palliative Care of the St. Lawrence Valley. Joan was born October 12, 1936 in Manchester, NH; daughter of the late Marcel and Florence (Coverly) VanDerBeken. She graduated from West High School in New Hampshire. On August 19, 1954, Joan was married to John C. “Calvin” Clarke in Wichita Falls, Texas. She worked in the cafeteria at Knox-Memorial Central School and later in dining services at SUNY Canton. Joan enjoyed shuffleboard, play cards, pedro parties, and she and Calvin bowled in the co-ed league at the Canton Club. Joan was a communicant of St. Rene’s Church in Russell and later St. Mary’s Church of Canton. Joan is survived by three children, Joni (Robin) Tressider of Russell; John (Darlene) Clarke of Canton and Daniel Clarke and companion Peggy Cardinal of Russell; a sister, Patricia Flewelling of Manchester, NH and grandchildren; great-grandchildren and great-great grandchildren. She is predeceased by her husband John C. “Calvin” Clarke and by a daughter, Cathy Clarke Folsom. Contributions in her memory may be made to St. Vincent de Paul; 58 Progress Parkway, Maryland Heights, MO 63043. Fond memories and condolences may be shared online at www.olearyfuneralservice.com Arrangements for Mrs. Joan B. Clarke are under the care of the O’Leary Funeral Service of Canton. RUSSELL- Mertice J. Jeffries, age 83, of Russell, NY passed away on Sunday, January 28, 2018 at Claxton Hepburn Medical Center. There will be a memorial service for Mertice at a later date. Arrangements are with French Funeral Home, Edwards. Condolences may be shared online at www.frenchfuneralhomes.com. Mertice was born on September 5, 1934 in Russell, NY to the late Charles H. and Millie (VanSant) Tuttle. She graduated from Knox Memorial High School in 1951 and married Lochland Dayton Jeffries in 1953, whom she had four children with. Her marriage to Lochland ended in divorce. 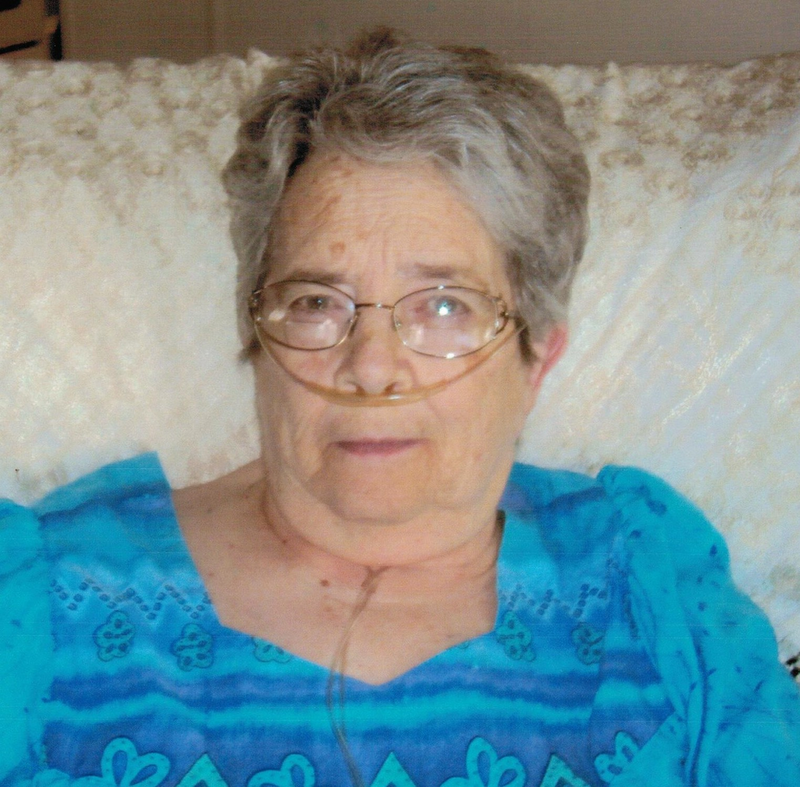 Mertice was a self-employed care giver for many years. She had previously sold life insurance and was an office manager for United Agencies in Cape Canaver, FL. Mertice was a member of the Russell United Methodist Church and the Whole-Loaf Christian Center in Florida. She enjoyed knitting, reading and crafting. Surviving is a daughter Charleen Alese and her husband, Lonnie Leonard of Russell; three sons, Lochland Douglas Jeffries and his wife, Kelly Poetzman-Jeffries of Chicago, IL, Morris Evan Jeffries and his wife, Terry of Russell and Christopher Milton Jeffries and his wife, Andryea Foster of Arizona; a brother and his wife, Alton and Dale Tuttle of Russell; a sister and her husband, Millie and Richard Loucks of Marion, NY; nine grandchildren, several great grandchildren and great-great grandchildren and one great-great-great granddaughter and several nieces and nephews. Mertice is predeceased by two brothers, Russell and Sonny Tuttle and two sisters, Arlyss Sibbits and Betty Colton. Donations may be made in Mertice’s memory to the St. Lawrence County SPCA, 6718 NY-68, Ogdensburg, NY 13669. 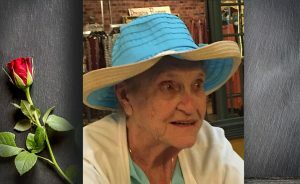 Lois Gertrude (Von Wald) Hall, 86, born May 21, 1931, died Oct. 30, 2017. She is survived by her four children, Gregory (Kathy) Hall, of Clinton, Mississippi, David Hall of Reno, Nevada, Amy (Thomas) Thompson of Chino Valley, Arizona, and Laurie (Louis) Burnette of Seminole, Texas; her brothers, Gail Von Wald of New York, Glen Von Wald of Buffalo, New York, Lee (Carol) Von Wald of Millville, New Jersey; 17 grandchildren, 11 great grandchildren and 1 great, great grandchild, numerous cousins, nieces and nephews, most in New York state. She was preceded in death by her parents, Glen and Nora (Patterson) Von Wald; her husband, of 58 years, Thomas Ray Hall; her son, Tony Hall; and her infant daughter, Lynn Hall. Also her cousins, Charles and Lyle Bleau, whom were raised as our mother’s siblings. Besides being a housewife, she worked full time for many years as a cook at the Rock Store, in Lake Hughes, California. She lived in California for 31 years and then in Maryland until the death of her husband. When she retired, she moved closer to her daughter Amy, in Arizona. Amy cared for our mother for the last nine years. Susan M. Hundley, 57, of Merritt Island, FL and formerly of Clare, NY passed away Oct. 15, 2017 at Cape Canaveral Hospital with family by her side after a courageous battle with cancer. Born February 7, 1960 Sue attended Knox-Memorial Central School in Russell, NY and moved to Florida in the 1980’s. She was a seamstress at SeaRay Boats where she made many dear friends along the way. Susan is survived by her parents Joyce and Edson Clothier and by her sisters Barbara Hundley, Mary Butterfield, Terrie Clothier and Sara Charpentier and their families, along with many Aunts, Uncles, cousins, nieces and nephews. Susan was predeceased by her father Elwyn Hundley. Sue loved animals of all kinds, collecting gemstones and sharing recipes. She will be missed greatly by all who knew and loved her. A private family service will be held at a later date. 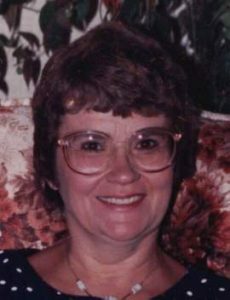 Gouverneur – Lorraine M. Knight, 81, passed away on Wednesday, October 18, 2017 at Samaritan Medical Center in Watertown. Calling hours will be on Sunday, October 22nd from 1:00 to 2:00 pm, followed by a funeral service at 2:00 pm at the Green Funeral Home, Gouverneur with Rev. Orville Eacker, pastor of Stepping Stone Ministries, officiating and burial in Hailesboro Cemetery. Memorial donations may be made to the Gouverneur Volunteer Rescue Squad, PO Box 164, Gouverneur, NY 13642. Lorraine was born on June 19, 1936 in Russell, the daughter of Harold and Lex Hill Merkley. She graduated from Knox Memorial School in 1953 and the attended Canton ATI and Ogdensburg Business School. Lorraine was married to Fredric Maine who passed away in 1980 and Leo R. Knight who passed away in 2004. She worked in public health for New York State and for St. Lawrence County for over 30 years. Lorraine had been a member of the Gouverneur Garden Club and the Gouverneur Daughters of Rebekah. She enjoyed spending time in her flower gardens making ceramics, and adored her cat Felicia. Lorraine is survived by her three children Sheldon and Marilyn Maine of Gouverneur, Barry Maine and his companion Donna McArthur of Clay, Kelley and Joe Lacks of Sylvia Lake, her six grandchildren Marcie, Ryan, Erica, Matthew, Anthony, and Jered, eleven great grandchildren, a brother John Merkley of North Carolina, nieces and nephews. She will be missed by her family. 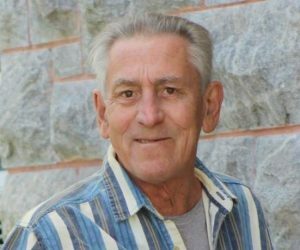 CANTON/RUSSELL – David C. VanBrocklin, age 65, of Canton and formerly of Russell, passed away on Tuesday, August 8, 2017 at his son’s home, under the care of Hospice of St. Lawrence Valley. Calling hours will be held at French Funeral Home in Edwards on Friday, August 18th from 5:00 – 7:00 p.m. There will be a graveside service held in the South Russell Cemetery on Saturday, August 19th at 11:00 a.m. with military honors. There will be a celebration of life gathering at the Wayside Tavern following the graveside service. David was born on November 29, 1951 in Potsdam to the late Clayton G. and Blanche A. (Tousley) VanBrocklin. He graduated from the Knox Memorial High School in 1969. A marriage to Judy Forbes ended in divorce. He served in the United States Army from 1971 until his honorable discharge in 1973. Dave received the National Defense Service Medal, Army Occupation Medal (Berlin), the Good Conduct Medal, and was a qualified marksman and an expert with both the M16 and .45 Cal. Pistol. David was an over road truck driver for many years and was a member of the Teamsters #687. In his free time, Dave liked what most north country men do; he liked to hunt, fish, drink beer and chase women. His survivors include two sons, Clayton and Kelly VanBrocklin, Bernard “Bernie” and Tracy VanBrocklin; his sister, Joyce and Kenneth Delorme; brothers, Arnold VanBrocklin, Max and Deborah VanBrocklin; and 5 grandchildren. Donations in memory of David may be made to the St. Lawrence County Cancer Fund, PO Box 291, Canton NY 13617 or to Hospice of St. Lawrence Valley, 6805 US Hwy. 11, Potsdam, NY 13676. Condolences may be shared online at www.frenchfuneralhomes.com. PITCAIRN – John I. Jessmer, beloved husband and father, passed away peacefully at home on April 27th in East Pitcairn at the age of 82. 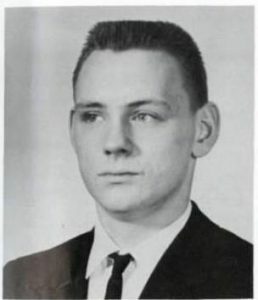 John was born on February 9, 1935 in Potsdam, NY to late Florence (Cota) and the late John Jessmer. He graduated from Potsdam Central School and entered the United States Army in 1955 where he worked as a demolition man. He served his country until he was honorably discharged in 1958. He married Iva (Lenie) E. Law on September 27, 1956 at the Edwards United Methodist Church. They moved to East Pitcairn in the 1960’s, residing there until his death. He worked construction for several companies in New York State as the demolition crew. He was considered one of the best skilled blasters in the area. In the early 1970’s he formed and operated River Road Lumber in Edwards. His sons joined him a few years later in partnership building skid pallets and selling them to paper mills and various businesses. He retired in 2000 from the company when it closed. His hobbies included hunting, fishing, spending time at Blake Flow in Colton and later at Jones Pond in Edwards. He attended East Pitcairn Wesleyan Church in his earlier years. He was a devoted husband to his wife Lenie who was injured in a severe car accident in 1988. They were inseparable marking 60 years of marriage. John was survived by his wife, Iva E., who passed away two days later on April 29th. Survivors include two sons, Gary J. Jessmer of Oswegatchie, Larry (Densey) Jessmer of East Pitcairn, a half-sister, Dianne Dickson of Madrid, three grandchildren, John P. (Danielle) Jessmer of Pitcairn, Gary J. Jessmer of Georgia and Jill J. (Ryan) Limberg of San Diego. One great grandchild, Nathaniel Limberg of San Diego. He is also survived by one brother-in-law Philip (Gwen) Law of DePeyster, 3 sisters-in-law, Iris (Henry) Waugh of Talcville, Freida Snell of Canton, Doris (Renie) and Joe Durham of Fine, and several nieces and nephews. 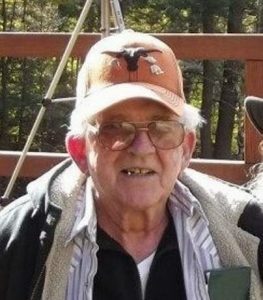 He was predeceased by his parents and in-laws, a brother, Phillip Jessmer, a sister Jerry Ingraham, a brother-n-law Lyle Law, a sister-in-law Bonnie Lewis, and infant granddaughter Heidi Jessmer. Arrangements are with French Funeral Home in Edwards. Condolences may be shared online at www.frenchfuneralhomes.com. At his request, there will be no calling hours. A joint graveside service with his wife will be held on Saturday, May 6th at 3:00 p.m.at the East Pitcairn Cemetery with Rev. John Putney officiating. In lieu of flowers, donations may be made in John’s memory to the Harrisville Volunteer Rescue Squad, PO Box 51, Harrisville NY 13648. There will be a memorial/reception combined with the Law Family Reunion held in July at Gouverneur Recreation Park. PITCAIRN – Iva E. (Lenie) Jessmer, wife of John I. Jessmer, passed away peacefully on April 29, 2017 at Samaritan Medical Center in Watertown, where she had been a patient for the last week with family members by her side. Iva was born on November 26, 1937 in Pierrepont, NY to Herb and Doris (Hogle) Law. She was brought up on a farm and attended Knox Memorial High School in Russell, NY. She married John I. Jessmer on September 27, 1956 at the Edwards United Methodist Church. They moved to East Pitcairn in the 1960’s, where they lived for about 55 years. 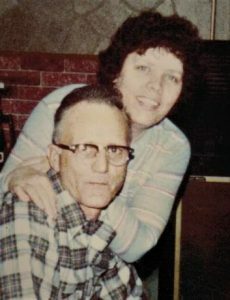 She was a homemaker all of her life along with taking part in the family business, River Road Lumber, as a bookkeeper. 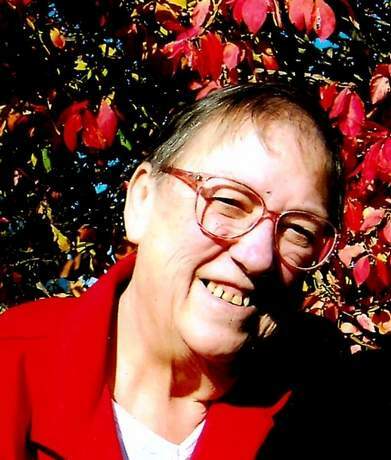 Lenie was an avid participant in the East Pitcairn Wesleyan Church in the 1970’s serving as a Sunday School and Bible School Teacher, youth leader, hosting parties at her house for teens. 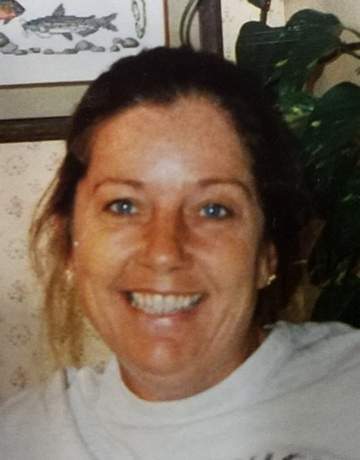 Her hobbies included cooking, fishing, spending time with her husband and family at Blake Flow in Colton and later at Jones Pond in Edwards. She loved playing guitar, which she learned at an early age. She joined family in many music get togethers. She always used her gift of playing and singing within the church setting until she was injured in a car accident in 1988. Iva is survived by her two sons, Gary J. Jessmer of Oswegatchie, Larry (Densey) Jessmer of East Pitcairn, three grandchildren, John P. (Danielle) Jessmer of Pitcairn, Gary J. Jessmer of Georgia and Jill J. (Ryan) Limberg of San Diego. One great grandchild, Nathaniel Limberg of San Diego. She is also survived by one brother, Philip (Gwen) Law of DePeyster, 3 sisters, Iris (Henry) Waugh of Talcville, Freida Snell of Canton, Irene (Joe) Durham of Fine, a sister-in-law Thea Law of Harrisville, and several nieces and nephews. Iva was predeceased by her husband John who passed April 27, 2017, parents Herb and Doris Law, a brother, Lyle Law, a sister Bonnie Lewis, and infant granddaughter Heidi Jessmer. Arrangements are with French Funeral Home in Edwards. Condolences may be shared online at www.frenchfuneralhomes.com. There will be a joint graveside service with her husband John held on Saturday, May 6th at 3:00 p.m. at the East Pitcairn Cemetery with Rev. John Putney officiating. Per her request there will be no calling hours. In lieu of flowers, donations may be made in Iva’s memory to the Harrisville Volunteer Rescue Squad, PO Box 51, Harrisville NY 13648. There will be a memorial/reception combined with the Law Family Reunion held in July at Gouverneur Recreation Park.